When you are traveling to Walt Disney World, you may be wondering what things you should make a priority. With four major theme parks to choose from, it is hard to know where to begin. 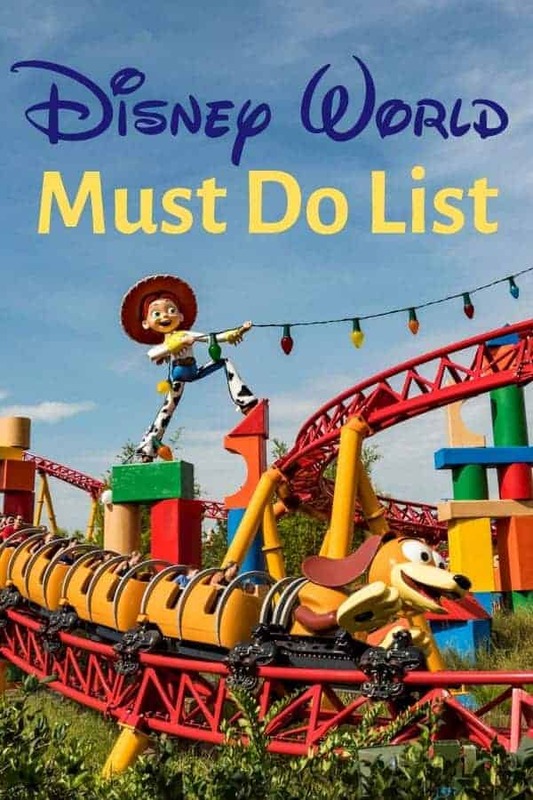 We have put together a quick reference list that shows you all the things you must do at Disney World. We have chosen to limit our list to three major things for each category so as to not totally overwhelm you! Let’s face it, if you only have one day in each park, you can’t do it all. If you are looking for our top list of rides, attractions and junk food, this is your list. Ride: Avatar Flight of Passage, Kilimanjaro Safari, and Expedition Everest. There are SO many other things you are going to want to ride and experience at the parks, but if you have limited time, these are the things you must do at Disney World. We will continue to update the list as new rides and experiences come to Walt Disney World. Take a look at what is planned for the four Disney World Theme parks in Orlando! What do you think? Do you have certain things you prioritize when you have a limited time at Walt Disney World?